Old men like Ronnie Woods shouldn't have kids. Rolling Stones rocker Ronnie Wood has become a dad at 68 and it’s great. It’s great! He and wife Sally Humphries, 38, have welcomed twin girls this week, the births confirmed by his rep.
Ronnie & Sally Wood are delighted to announce the birth of their twins Gracie Jane (6lb) & Alice Rose (5.7lb). I just can’t help but do the maths. When his girls start school he’ll be 73. When they start high school he’ll be 81. When they celebrate their sweet 16 he’ll be 84. When they turn 21 he’ll be 89. The sad fact is that he’s probably not going to be around to enjoy much of his children’s lives and sadder still is the fact that these girls are probably going to lose their dad at a young age. It’s hard enough to lose your parents when you are all grown up with a family of your own, let alone when you still live with them and depend on them. But that’s the rock star way, right? Marry younger and younger wives who want to have children and then hang around for as long as you can. I know, I know, there are lots of kids who don&apos;t have dads who are perfectly fine. That&apos;s not what I&apos;m talking about. I&apos;m not talking about children without dads or children who lose their dads from accidental deaths or children raised by two loving mums. I just don&apos;t understand why a 68-year-old man would want to bring children into the world knowing that he&apos;s probably not going to be around to walk them down the aisle. Maybe I&apos;m being cruel. Maybe I&apos;m making too many assumptions. Men rarely think about death and what will happen when they are gone. I&apos;m not surprised an ageing rocker hasn&apos;t bothered to give much thought to it either. You&apos;re as old as you feel! He obviously feels younger than his 68 years and the annoying biological fact is that men can father children much later than women can. VERY annoying. Why do women cop the raw end of that deal?!? What is the worst advice I&apos;ve ever given? Article continues after this video. 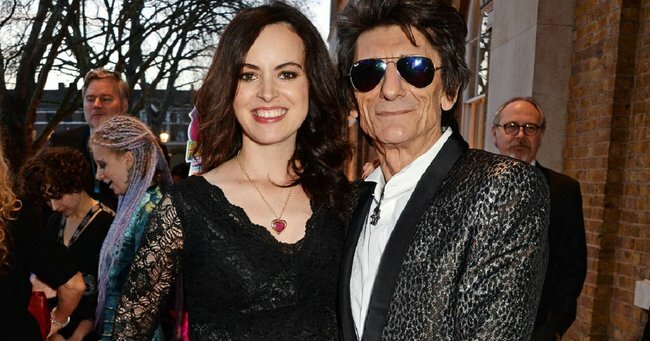 Ronnie Wood and wife Sally have been married since 2012. Wood has four children from two previous marriages and ten grandchildren in total. He was clearly excited to be having more kids and thought about it before going ahead with it. He told BANG Showbiz that it was fellow ageing rocker Rod Stewart who inspired him to have more kids. I&apos;m getting excited about the arrival of my twin girls sometime in the next few weeks???????? ???????????? The Rolling Stones are famous for never stopping or even slowing down despite their advancing years, still touring the world as recently as this year in Cuba. I suppose normal rules don&apos;t apply to rockers or celebrities or to those with much younger partners. Sally is at a perfect age for motherhood and just because she&apos;s married someone much older than she is, doesn&apos;t mean she should miss out on having kids. At what age do you think men are too old to become dads?